After many months of renovations in our home… we have finished building a fully separated guest area which includes its own entry, bedroom and ensuite bathroom for our Bed and Breakfast guests. The chickens are happily laying fresh eggs for your breakfast and our two puppies have grown up to be our ‘guard dogs’… or more likely your entertainment! Welcome… We are open for business! Our veggie garden is in full swing… and we got the cutest summer squashes called ‘Patty Pans’ in abundance. They look more like some UFOs in bright yellow! Also, the young hens are stepping up to the ‘plate’ and are producing wonderful eggs… some are a lot bigger than normal ones and I hope that the chicken’s bum is alright and not too sore from laying this ‘Monster egg’! The first snowflakes fell the day after a wonderful Thanksgiving weekend with a house full of family members! They all came to help with our wood supply for the winter. Lots of chopping wood, filling the tractor bucket, driving it all to the wood shed and stacking it nicely for us. An added huge bonus was that while some worked outside… some worked inside in the kitchen and at the end of the day we had a wonderful turkey dinner on our table. 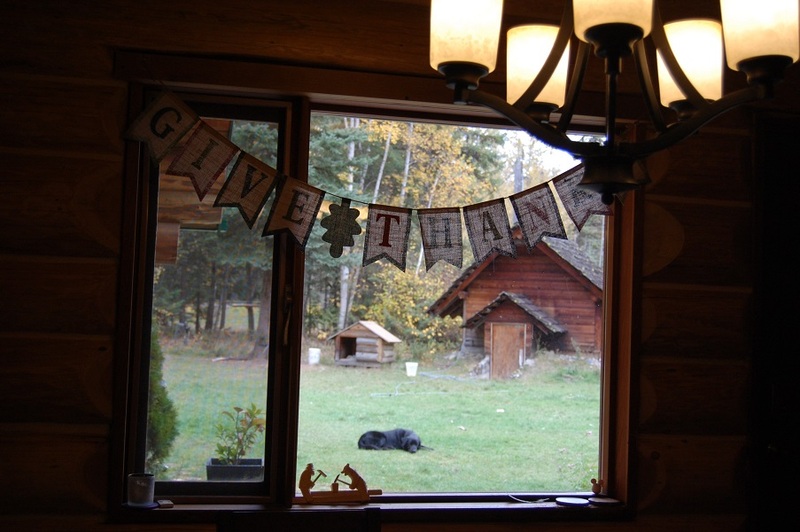 We hope that you all had as great a Thanksgiving weekend as we did, and with that, we close our 2016 season here at The Log House B&B. Now, it is time to work more on our coffee business… so far we have six different choices for sale at the local Monashee Community Co-op in Lumby. There was even an article printed in the local newspaper. The address of the Co-op where you can buy our ‘Jar Coffee’ is: 1965 Shuswap Avenue, Lumby. During all the snowy cold days, we had some time to think about our two logos we planned to have by spring 2016. Here they are… one for the B&B and one for our Coffee Roastery here at the B&B. We hope you guys like it! 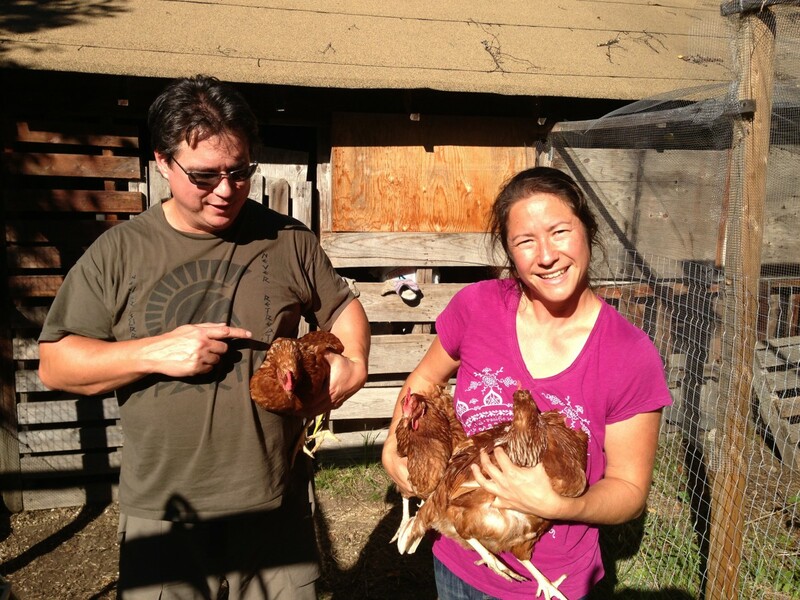 We got a new mixed team of heritage chicks… hopefully, we will have some blue, green and dark chocolate brown eggs in a few months. They are such a cute little bunch of fluffy chicks… there might be one or two roosters in it, too. I guess the girls need their protectors and our guests an early ‘wake up call’! 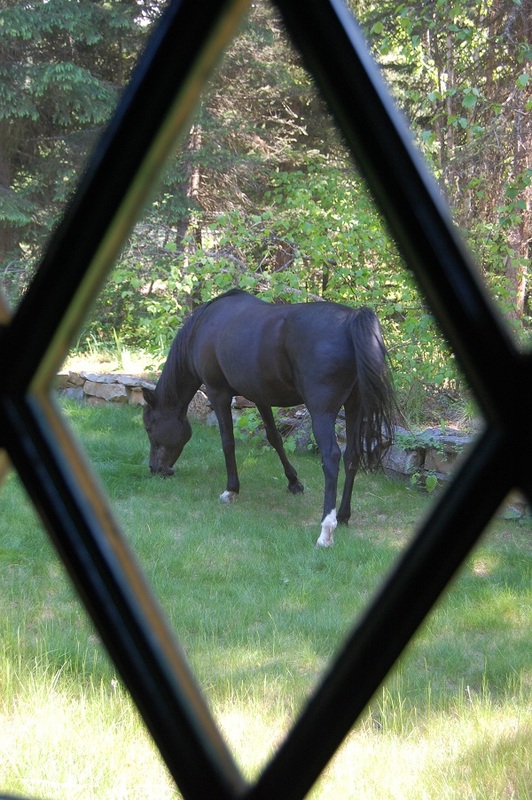 June is here and a new season of The Log House B&B has begun! 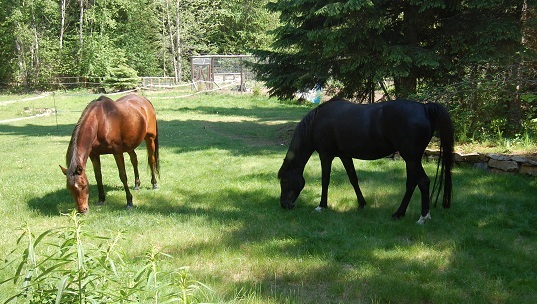 The maintenance crew Black Rose and Sunny is working hard to get the lawn ‘cut’ in time before we opened the B&B on June 1st for this season! 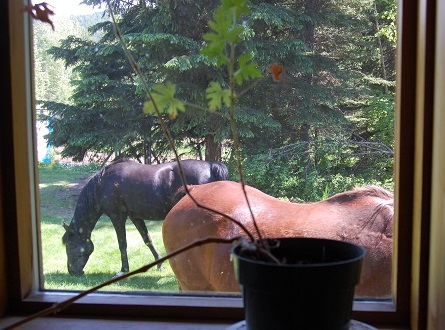 New additions to the herd of Islandic Horses at the neighbours! Winter is gone… Spring is here!!! B and B opening for the season on June 1! We are very happy to see all the snow gone… it was an unusually hard winter with the most snow in over 100 years! 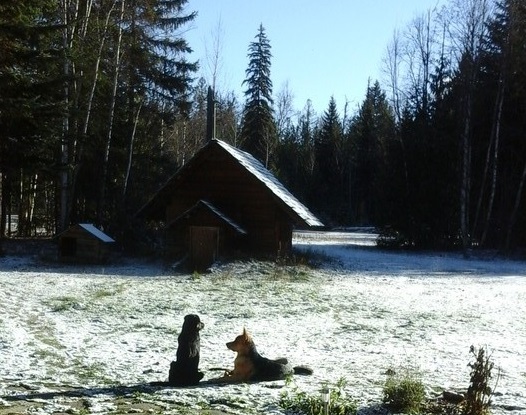 Our dogs loved it… but ‘Attila’ the little black guy almost disappeared in the snow. With the bigger one ‘Muji’ we could at least still see part of his face when they were out playing. Now, the cats and dogs are enjoying the spring sun and all of them are doing their best to help keep the chickens out of the flowerbeds. Soon, we will be open for the B&B season again. You can book your room as of June 1st, 2015. See you soon! After a long stretch of beautiful fall weather and colors… the first snow has arrived. Earlier in the week we had minus 16 degrees in the morning and the cats were huddled around the fire. Muji and Attila don’t seem to mind the cold temperatures and are enjoying the steel blue sky and crisp winter air.